When Melanie Askew left her job in human resources, she had no idea that education would transform her life. All she knew was that she hoped to make an impact in her community. But a massive pay cut and a leap of faith would lead Askew to do something that hasn’t been done before. In Fall 2017, the 20-something former teacher will launch Elan Academy in New Orleans. 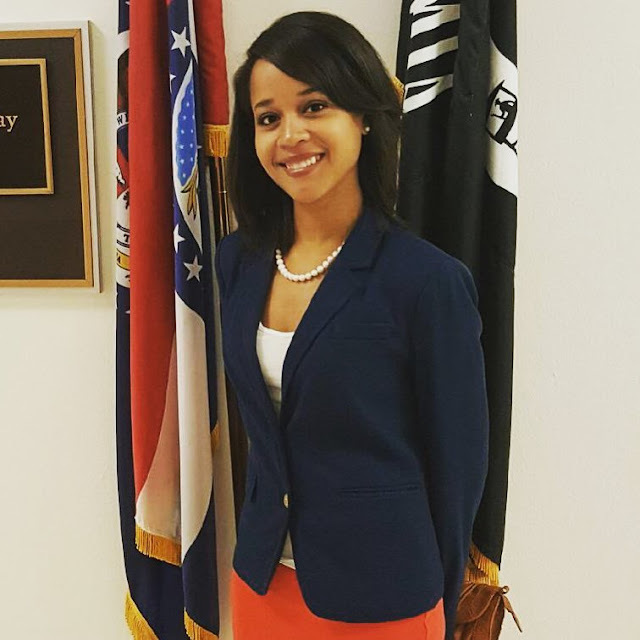 Like many millennials, she started with a career based on societal pressure before ultimately landing her dream job. Askew’s initial goal wasn’t always to become a teacher. She had a breakthrough moment and realized her true calling. “Feeling the pressure to enter a lucrative field, I took a job in human resources. After interviewing candidates for jobs and seeing the long-term impact of not having a strong education, I took a $20,000 pay cut and became a teacher. I needed to get on the ground and make an impact. Money was no factor as children’s lives were at stake,” said Askew. Like many who relocate to The Big Easy, they fall in love with the cities rich history and culture. “I have learned that the history of New Orleans is incredibly deep and the value is priceless. While teaching in the Achievement School District, a district modeled after the Recovery School District in New Orleans, I studied what was happening in the city.” Post Katrina has seen an enormous amount of non-profits and education programs flock to the city. But the city that everyone loves come Essence Fest and Mardi Gras has struggled for years with its education system. NOLA has the highest percentage of students that attend private schools. Its educational climate is unlike any other city in the country. By age three, children in the poorest families have a vocabulary one third as large as their more affluent peers. Kindergarten vocabulary size predicts reading comprehension in the middle elementary years and orally tested vocabulary at the end of first grade predicts reading comprehension ten years later. Research shows that a classical background has a pragmatic impact on academic success. All students at Élan Academy will enter middle school with a strong classical foundation prepared to continue on a path of academic success, and going on to attend high-performing high schools that will lead them to college. Families who seek vouchers or are unable to afford a private school education can enroll at Elan and receive the same caliber of education at no cost. We are classical in nature but are clearing the understanding that our students must have the 21st century skills to be successful. Therefore we include blended learning, computer program coding, and leadership development. 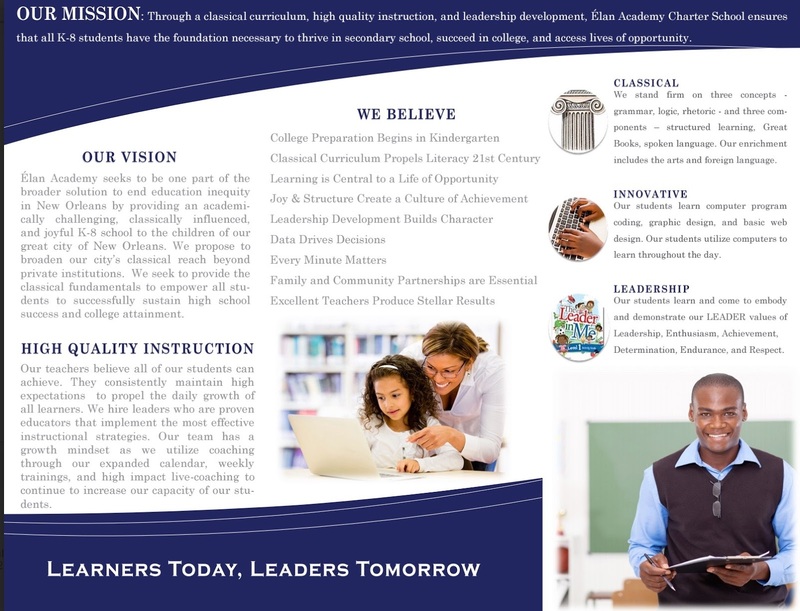 Élan Academy offers a unique option for parents as the only public, tuition-free, classical school for the 21st century available in New Orleans without the added cost of tuition. Élan Academy is a place where parents can be sure their students are safe, valued, celebrated, and learn to become the next generation of leaders to access lives of opportunity. 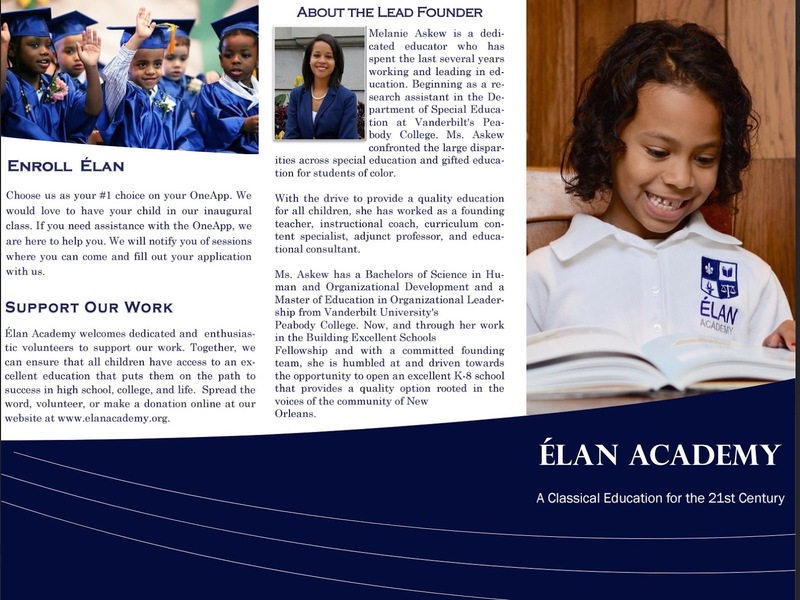 Élan Academy will provide an academically rigorous program that compels students to think deeply and critically about academics, teaches debate, Greek and Latin roots of words to ensure command of the English language. For more information about Elan Academy or to enroll, you can visit the school’s website at elanacademy.org.